Compassion Hospice was founded in May of 2007 by local residents after much thought, prayer, and consideration to the state of hospice care in the area. Founded under the premise of “Care without Compromise”, our goal is to be the area leader in providing genuine and honest hospice care. As the area’s only locally owned, nationally accredited hospice, we’re committed to developing a center for excellence in compassionate hospice care and community-wide grief and bereavement services. Our local leadership allows us to devote an increased effort to providing a world-class hospice experience for Southeast Texas’ terminally ill and their families regardless of their ability to pay. To that end we’ve given over $1 million in care to those who would otherwise be unable to pay for their care. Comfort, dignity, respect. Our priority is our patients, their families, our staff and the community. It revolves around the importance of advocating the needs of the terminally ill. Our care neither hastens death nor prolongs life but strives to make death a natur al part of life. 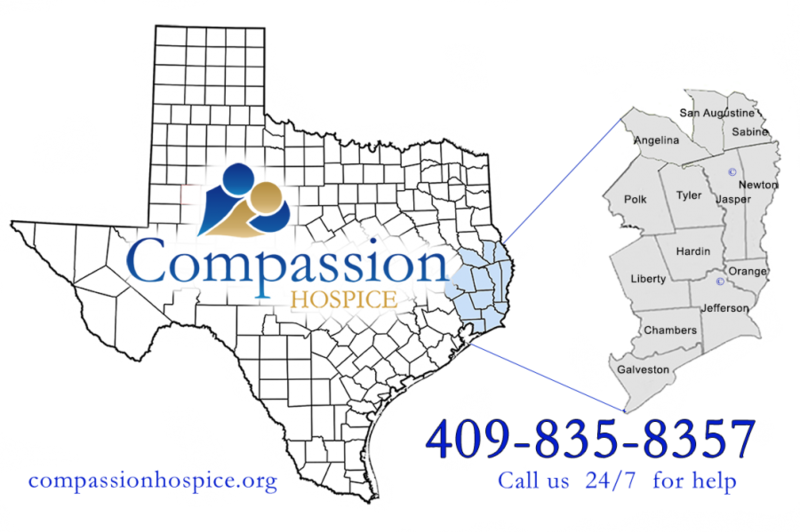 Compassion Hospice is an in network provider for most insurance companies, accepts TexanPlus , HealthSpring and most other Medicare Advantage Plans and is licensed by Medicare and Medicaid. Furthermore, we never deny treatment based on a patient’s ability to pay for services. We are accredited by Community Health Accreditation Partners, Inc. (CHAP). CHAP sets the highest standards for community and home-based health services. The CHAP seal of approval means that accredited programs like Compassion Hospice have gone beyond the minimum quality levels to meet the industry’s highest nationally recognized standards of excellence. As Beaumont’s only locally owned, nationally accredited hospice, our highly trained team delivers care without compromise. Let us help you and your loved ones in your home, with the compassionate care you deserve. We are contracted with all area hospitals for inpatient care, should you need it. Your loved one will be able to get care closer to home, where they want to be most: Christus St Elizabeth and Baptist Hospitals in Beaumont, Christus St Mary and the Medical Center of Southeast Texas in Port Arthur, Baptist Hospital in Orange, and Christus Memorial in Jasper, Texas. 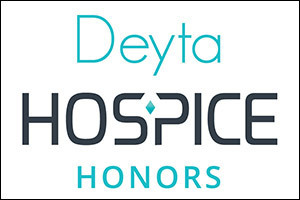 Southeast Texas’ largest provider of hospice indigent care. Licensed Professional Counselors on staff available to assist patients and families as well as children enrolled in hospice or children experiencing the loss of a loved one. Comprehensive bereavement programs with multiple monthly activities and ongoing grief support groups. We are licensed to care for all of Southeast Texas’ residents, serving Jefferson, Orange, Chambers, Hardin, Galveston, Liberty and San Jacinto counties. Our office in Jasper services even more of the Lakes Area, including Angelina, Newton, Jasper, Tyler, Polk, Sabine, San Augustine, Shelby and Trinity counties.